Last night while Sam was (FINALLY) putting my craft table together I was moving some stuff around and realized that I need the space where I have been keeping my printer ink cartridges. 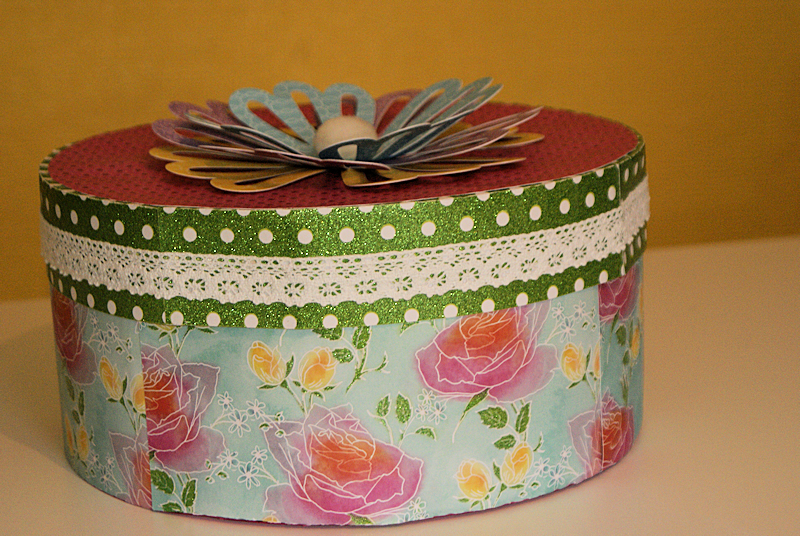 I decided that I would make a hat box that I could sit on a shelf that would be cute and functional. I know that some may not like or approve of the paper combo but I did not want it to all be matchy matchy. For the center Sam said to add a large cotton ball and it looks really cute. Too cute, love the colours and patterns! This is really PRETTY!! Love the Gorgeous flower!! Great idea! I think your box is cute! oooohhh...what pretty papers! The flower on top is a beautiful finishing touch to this lovely project! What a super fun idea Nana! 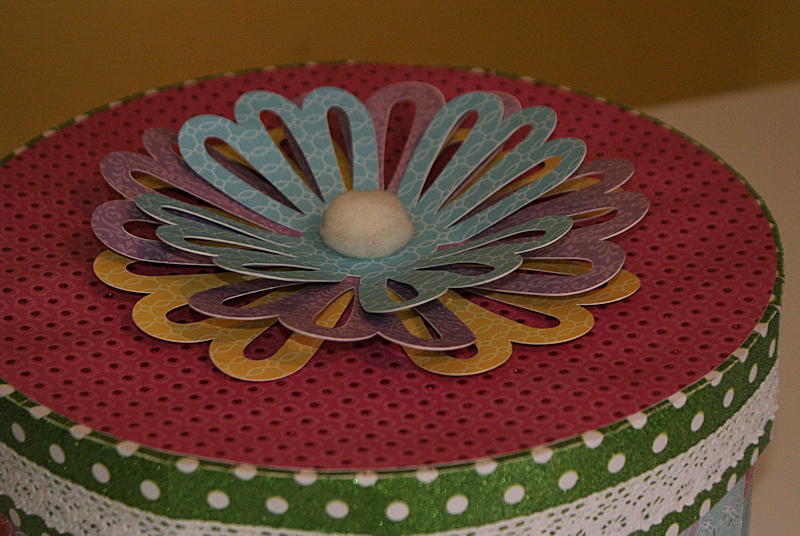 The paper combination is fabulous and LOVE the little cotton ball in the center! I am sure it will look fantastic in your craft room! Can't wait to see your room-hope you post pics! I agree the cotton ball center looks so cool!! Beautiful box!! Love the pretty flower and the papers you used!! Have a great day. This is such a lovely box! I love the papers and the cotton ball center.